My blog might be getting a bit blockbuster heavy, but what can I say, this is the summer after all! Besides, I have zero snobbery when it comes to cinema, I can see merits in any genre without preconception. Hell I even got excited at the Transformers: Age Of Extinction trailer recently (before getting back to my senses when I read the first reviews). Besides, sometimes a fascinating, conceptual blockbuster comes out. So obviously, it flops. First of all, I must add that, to me, a blockbuster does not need to have a strong subtext to be worthy of interest. In fact, I am wary of an annoying recent trend of over-analysing pop culture. Edge of Tomorrow finds Tom Cruise as a media relations officer sent on the battle front in a war against aliens who have Earth under attack. With zero military experience, it is only a matter of minutes before he is killed... except that he wakes up to relive the same day over and over again, trying to make sense of what is happening and a way to defeat the enemy. 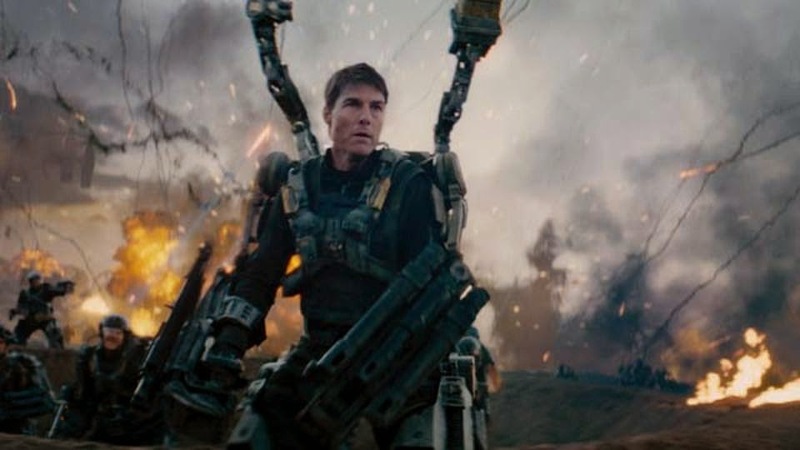 Edge Of Tomorrow works on several levels. As a blockbuster it's smart and ruthlessly entertaining, and for a film that embraces the video games schematics, it carries a surprising emotional weight. Early stills months ago had me worried this would be as grey and dour as playing Gears Of Wars, but here there is the exact right balance of visceral action, humour, characterisation and slower scenes allowing the film to breathe to make it truly engaging and thrilling. 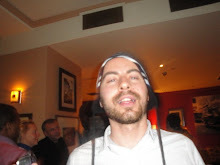 But if you want to get the metaphors and subtexts out, there is a lot to explore I suspect. First it can be seen is a metaphor for the repetitive pointlessness of war itself to begin with (live, die, repeat as the tagline goes). And it's no accident that the film is set in historically charged locations (Verdun is evoked, and the beaches of Normandie are where most of the action takes place). It can be seen as a metaphor for the plight of any actor, having to repeat themselves over and over again at every take before they can reach perfection. But it also has a particular echo for action stars, not so much current ones as they do not matter as much, but those of the heydays of action films in the 80's and 90's, a breed to which Tom Cruise somehow belonged to), and the usual criticism that they are always making the same films, with the repetitiveness being evoked. Live, die repeat, Tom Cruise doesn't stop, having recently eschewed any dramatic parts, trying to perfect his action figure persona with each new film (and it's a bold move to have his character first come across as a complete coward) until he reaches an almost superhuman perfection, superhuman indeed, considering how he has basically stopped ageing. As an icing on the cake, while the question of either rampant misogyny is still so prevalent in blockbusters, here we have one of the best and most rounded female characters seen in the genre in a while. 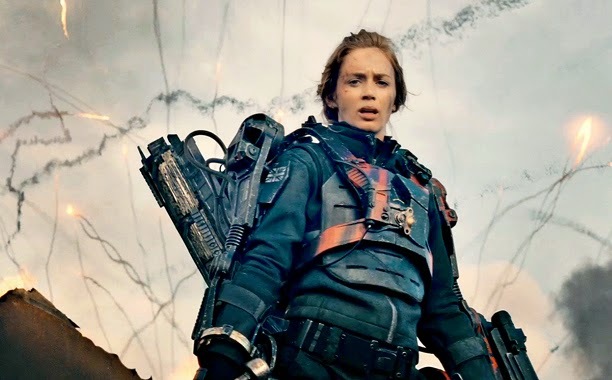 Emily Blunt displays an impressive screen presence and talent, and her character is not just a tough woman left with little to do (the Trinity syndrome), she is more than her male co-star equal, and is entirely pivotal to the plot. As a final note, it is refreshing to see an American film about an alien invasion that not only acknowledges the rest of the world but is also resolutely Europe-centric.